Once upon a time, I was happily working on blog post when I got this email from my hosting server (Bluehost). Although your web site has been suspended, your data may still be available for up to 15 days from the date of deactivation; if you do not contact us during that 15 day period, your account and all of its files, databases, and emails will be deleted. That will put the fear into a struggling writer. I called immediately and got the runaround. They were quick to send me to their “internal tech” people which was a big fat lie. I was fast-kicked to a rep for Site Lock and was told they could get me back up and running for $300. I could just hand over my credit card number and they would clean it all up for me. I asked for common places to start looking for malware. I got the pat on the head and the “never mind that , dear” treatment. Are you kidding me? Bluehost held my site hostage for $300. I told the rep no thanks and he proceeded to tell me that nobody else could clear any malware like they could and I would lose my site. What that sad rep didn’t know was this: I love a good dare. I’ll eat my left elbow before I give in to tactics such as this. I then had to call back to Bluehost (because transferring me back to BH was above this guy’s pay grade, apparently) and beg for a malware txt file. You see, I’m not clueless about code. I have managed to fix ALL my problems with my blog and coding by myeslf and the trusty Google. But out of 6 years of blogging, I needed to know WHICH haystack to start looking for a needle. Guess what answer I received? Bluehost no longer gives a malware txt file. We can transfer you to our service rep to quickly clean this site up for you. I decided then and there that I would pay someone else to fix this for me even if I had to pay more than $300 because Bluehost is now dead to me. No longer an option. No longer anything. And keep in mind, I was holding every penny in savings until we sign our home construction loan. This was absolutely the worst time to need to dig into savings. 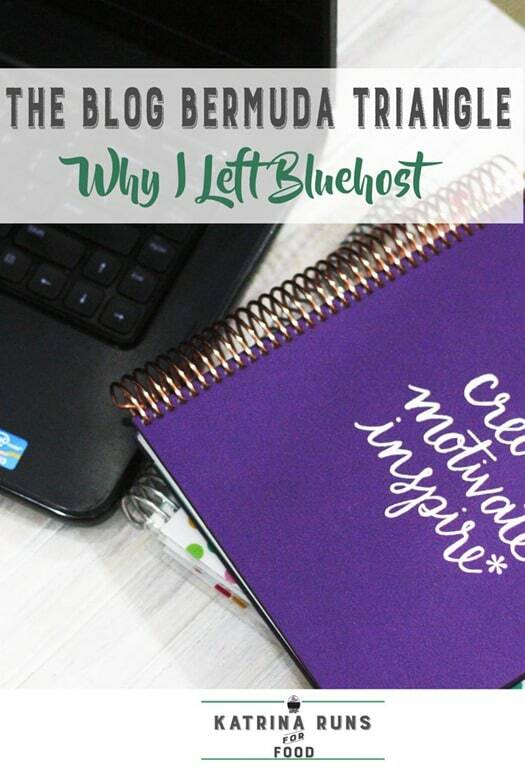 But I knew Bluehost would not budge. Long story….more of a long story…I used my FitFluential connections to seek out the famous Ryan at WP Site Care. He put me in touch with FANTASTIC people to help me. Not only did they listen to my panicked ramblings (I may have offered to send video of my interpretive dance because I couldn’t type a complete sentence at that time), they got my site BACK FROM BLUEHOST in 24 hours. The kicker? After WP Site Care got on board, Bluehost was quick to send me the exact location for the malware. 2 files. TWO FILES, PEOPLE. That was it. I was imagining nuclear war in every possible inch of my site. However, I’m glad this happened the way it did. This Bluehost debacle led to a cleaned up site, a new framework, and a new ad network. Details on those coming soon! Then…I kicked Bluehost to the curb. Literally. I’m now working with Site Ground and I could NOT be happier. It took a couple of days to transfer my hosting and my domain but I’m now officially away from Bluehost. During the transfer process, I bugged the hell out of Krista at WP Site Care. I mean..daily “talk me down from the ledge” emails. The whole time, I was reassured that my site would be okay. That kind of service is priceless. I will never recommend Bluehost to anyone. I have since learned that this latest effort in throwing shade is not new, and I am not the only one. They are actively seeking out blogs to hold hostage. Nice try, but I know a scam when I see one. Now that everything is back up and running, I am finally blogging happy again.